Even in the age of smartphones, consumers respond to sampling. Perhaps the most encouraging sign that winter’s almost over: St. Patty’s Day is just around the corner, ushering in a new season and reminding marketers not to drink more green beer, but that there’s tremendous value in in-store marketing and promotional efforts at retail. Product sampling reaches more than 2.8 million U.S. consumers each year, and when surveyed by Arbitron and Edison Media Research, 1/3 of those consumers said they’d likely buy a product after sampling. Even better, 58% of those consumers said they’d buy the product again. Despite the fact that iPhone sales are now outpacing the human birth rate, decisions are still being made at the point of sale, some even unaided by smartphones. “A lot of brands like to attach themselves to particular holidays,” explains Vertical Marketing Network Senior Account Director Nicco Mouleart, “and marketers are very good at capitalizing on holidays to make their products both relevant and appropriate.” Among other things, holidays lend reason for secondary displays and brand ambassador activities in-store, where marketers can heighten consumer awareness. On St. Patrick’s Day, no other brand does this better than Guinness and its Guinness Girls, who visit pubs and restaurants around the globe. 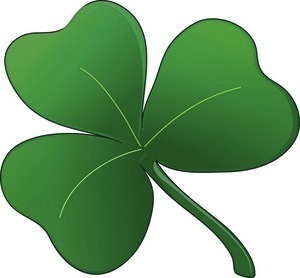 Marketers, it’s time to dust off your lucky shamrocks! Maybe I’m just blogging out loud, but it seems like leprechauns can teach in-store marketers a few tricks; if there’s a pot of gold at the end of every rainbow, then marketers need to make it rain. Campbell’s Soup Co. is one brand doing just that. With domestic soup sales down, the iconic brand has launched a new product, Campbell’s Go! Soup, that it hopes will reach younger consumers and offer the brand a turnaround. AdAge reports Campbell’s plans to unveil some 50 new products this year alone, and you can bet there’s a strategy for sampling those products in the marketplace. 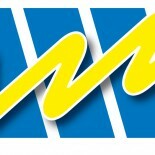 Vertical Marketing Network has done similar strategizing on behalf of many client brands, including Dannon yogurt and Gold ‘n’ Soft margarine. Both were trying to break into the Hispanic marketplace in Arizona and California, and both tapped the agency for in-store marketing, a key component of that strategy. Beyond offering coupons and samples, communicating extended usage ideas was a big part of the in-store push, as was helping consumers understand the product benefits. And “retailtainment” activities such as parking lot soccer events and spin the wheel for prizes took brand equity communications to the next level. Getting the consumer to try the product, getting them to understand the product and offering them incentive at the point of sale; the formula hasn’t changed much, yet chains such as Costco and others, cosmetic companies and retailers such as Sephora have all kicked-up their efforts by making an old trick new. Nicco has seen some shifts on the way food products are marketed in-store. One trend he likes he calls “dinner and a movie”: “Something that’s been popular with retailers is tying food products to entertainment, so there will be an occasion for the family,” he says. Who doesn’t like the sound of that? Especially as we head into the rainy season. Has a unique in-store effort caught your eye? Leave a comment in the section below, or head to Vertical Marketing Network’s Facebook page to join the conversation. I have always been impressed by Trader Joe’s sampling counter, but enticing customers to try a new food product right a dinner time, when they are hungry and deciding what to eat that night. I have seen many customers (myself included) taste the food, then go directly over to the shelf to pick it up. There is something to be said for the “right place, right time” idea. One of my favorite in-store promotions was at Home Depot. Every Saturday in the late Spring early Summer, they used to offer short hands-on garden workshops at the garden center: how to plant and care for roses, planting a vegetable garden, caring for hanging plants. They were fun, interactive, roll-up-your sleeve events that were very targeted and almost always led to immediate or future sales. We all know that lay of the land has changed and the consumer doesn’t want to be “sold to” anymore-they want to come to the brand because they are being offered something unique and valuable. Home Depot knew their audience and offered a smart, fun and valuable promotion that encouraged return visits and sales and built brand loyalty. I agree with Addie and Nicco. A lot of studios, mine included, are banking on the dinner and a movie concept by partnering with the grocery stores on a promotion. Just recently in the Vons circular, they had a promotion to purchase the film ‘Puss in Boots” and the consumer will get to take home some chicken tenders and popcorn. It lends an incentive to the consumer to purchase the DVD in a non-traditional store as an impulse purchase which then boosts DVD sales. Genius idea for a mediocre economy! Nicco is spot on. The TNR team is working on several new promotions featuring cpg partners tying their products with new DVD releases under the “dinner & a movie”. Another trend is cross-promoting several brands under the buy DVD and get brand x + y for free! consumers favorite word!! This entry was posted on March 13, 2012 by JJ Nelson in Uncategorized and tagged Consumerism, Coupons, Hispanic marketing, In-store marketing, Marketing, Product samples, Shopping, Smartphones, Vertical Marketing Network.